Researchers have uncovered a unique connection between diabetes and Alzheimer’s disease, providing further evidence that a disease that robs people of their memories may be affected by elevated blood sugar, according to scientists at Washington University. While many previous studies have pointed to diabetes as a possible contributor to Alzheimer’s, the new study, in mice, shows that elevated glucose in the blood can rapidly increase levels of amyloid beta, a key component of brain plaques in Alzheimer’s patients. The buildup of plaques has been shown to be an early driver of the complex set of changes that Alzheimer’s causes in the brain. The opensource study is published in The Journal of Clinical Investigation. The data findings suggest that diabetes or other conditions that make it hard to control blood sugar levels can have harmful effects on brain function, and exacerbate neurological conditions such as Alzheimer’s disease. The team state that the link they’ve discovered could lead to future treatment targets that reduce these effects. The team explain that people with diabetes can’t control the levels of glucose in their blood, which can spike after meals. Instead, many patients rely on insulin or other medications to keep blood sugar levels in check. To understand how elevated blood sugar might affect Alzheimer’s disease risk, the researchers infused glucose into the bloodstreams of mice bred to develop an Alzheimer’s-like condition. In the current study when the team doubled glucose levels in the blood young mice without amyloid plaques in their brains, amyloid beta levels increased in the brain by 20 percent. When the scientists repeated the experiment in older mice that already had developed brain plaques, amyloid beta levels rose by 40 percent. Normal firing is how a brain cell encodes and transmits information, the researchers explain. However, excessive firing in particular parts of the brain can increase amyloid beta production, which ultimately can lead to more amyloid plaques and foster the development of Alzheimer’s disease. To show that KATP channels are responsible for the changes in amyloid beta in the brain when blood sugar is elevated, the scientists gave the mice diazoxide, a glucose-elevating drug commonly used to treat low blood sugar. To bypass the blood-brain barrier, the drug was injected directly into the brain. The drug forced the KATP channels to stay open even as glucose levels rose. 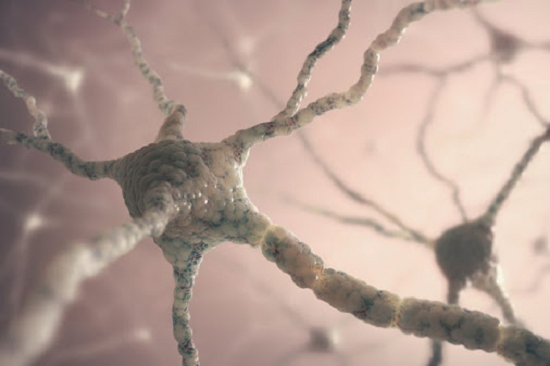 The results showed that production of amyloid beta remained constant, contrary to what the researchers typically observed during a spike in blood sugar, providing evidence that the KATP channels directly link glucose, neuronal activity and amyloid beta levels. The team are now using diabetes drugs in mice with conditions similar to Alzheimer’s to further explore this connection. The researchers go on to state that given that KATP channels are the way by which the pancreas secretes insulin in response to high blood sugar levels, it is interesting to see a link between the activity of these channels in the brain and amyloid beta production. This observation opens up a new avenue of exploration for how Alzheimer’s disease develops in the brain as well as offers a new therapeutic target for the treatment of this devastating neurologic disorder.